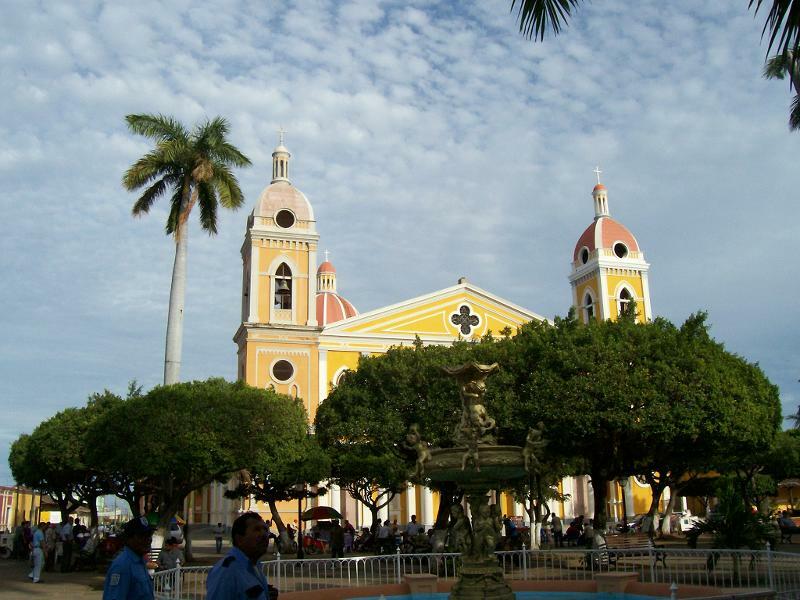 Located on the northwestern shore of massive Lake Nicaragua, about 30 miles southeast of Managua, is the city of Granada. After Francisco Hernández de Córdoba arrived on its shores in 1524 and named it after his hometown back in Spain, it prospered due to the relatively easy trade route to the Caribbean Sea through the Río San Juan (San Juan River) and the Pacific Ocean, which was only a 12-mile journey over land. 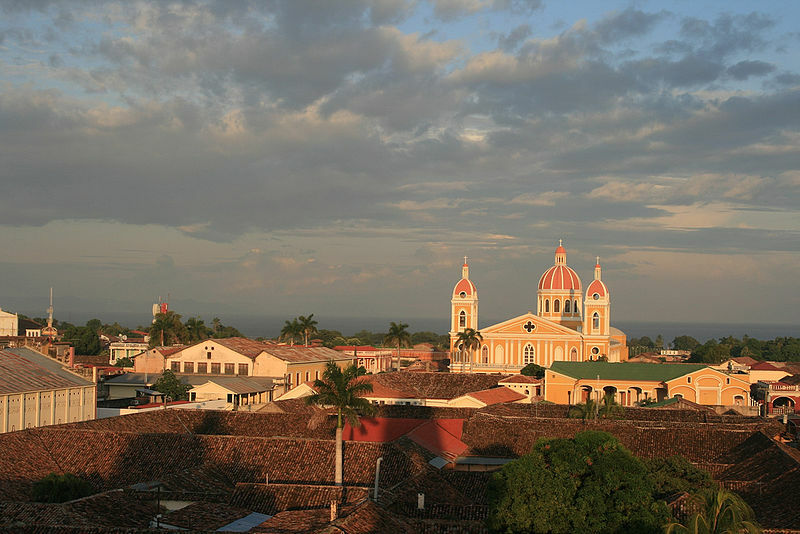 Due to this easy access to both oceans, Granada became one of the richest and most powerful cities in Central America. Ironically, this same wealth and power is what also brought major problems into the city. Throughout the 16th and 17th centuries, pirates pillaged Granada only to leave portions of it burned as they used the same trade route for an easy escape. In 1855, the American adventurer William Walker gained control of the city and not only elected himself President, but instituted slavery and declared English as the official language. Fortunately, his plan to rule all of Central America failed, but during his retreat, he ordered that Granada again be burned to the ground. 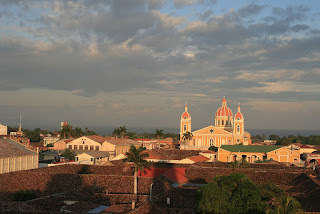 Today, Granada is a city steeped in its Spanish colonial history. Due to its popularity with foreign visitors and investors, it now serves as one of the top tourist destinations in the country. Despite some debate from its residents who say that the foreign investors are slowly driving them out, the city continues to focus on providing tourists a city rich in colonial heritage. This has led to large-scale restoration of many historic buildings into their original and colorful splendor. After visiting the city only once, you will not only agree that it is beautiful and charming but you will quickly see why so many Europeans and Americans are now moving there. Parque Central – The centerpiece and social center of the city, it is a great place to just sit and relax or take a short stroll. The square offers musical performances during the busier times and you will always find street vendors selling everything from souvenirs to ice cream sandwiches. You will also find many young "Bohemians" selling handcrafted art and bracelets, with many that are impressive. Bordering this area are some of the most beautifully restored buildings in the city. 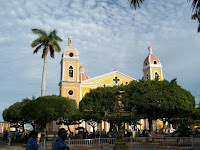 Catedral Nuestra Señora de la Asunción - As seen in the above photo, it is located on the eastern side of the Parque Central. The city's major attraction and landmark, it includes a blend of neoclassical and Gothic design on its exterior with a spacious interior that is surprisingly simple. The original church dates back to 1700s but it was destroyed many times during the constant pirate attacks. The current structure was completed in 1915 and consists of a yellow-orange exterior with a rust-red dome and two bell towers. Its most recent restoration was completed in 2006. For me, the churches in any busy city are always a welcome retreat from the hectic atmosphere just outside its doors. So, make sure you do the same. 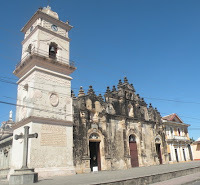 La Iglesia de Nuestra Señora de Las Mercedes – This church is considered by many residents as the city’s most beautiful church. Located two blocks west of the Parque Central on Calle 14 de Septiembre, it was originally built in 1534 but like the other churches, it was also destroyed a number of times. 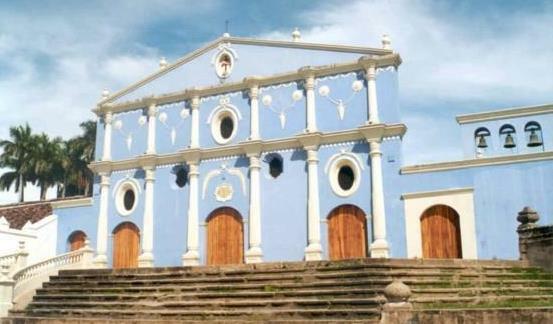 Its exterior consists of a baroque design with a single bell tower that is one of the best places to view the city, Lake Nicaragua, and the Volcán Mombacho looming on the horizon. 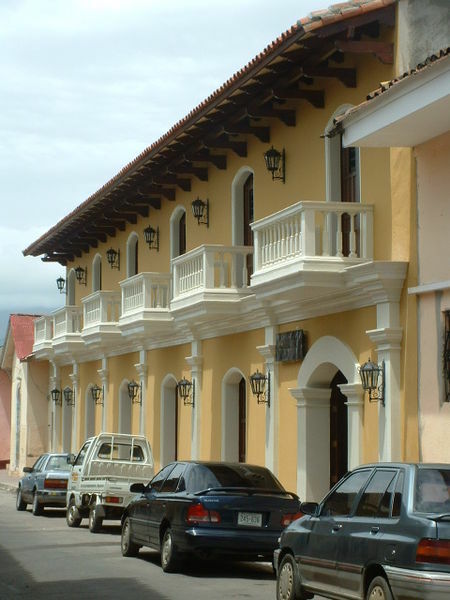 Mi Museo – Situated in a colonial house about one block northwest of the Parque Central on the Calle Atravesada, it includes a collection of 5,000 artifacts with some that date back to 500 B.C. It also includes a charming little courtyard and admission is surprisingly free. Casa de Los Tres Mundos- Located just a short walk north of the cathedral on the Parque Central, this is an exciting cultural center that offers everything from art exhibitions and classes to music workshops and concerts. 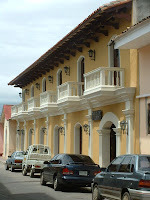 It is situated in a restored building that dates back to 1724. This thriving location is a wonderful cultural addition to the city that was badly needed. It is well worth a visit! 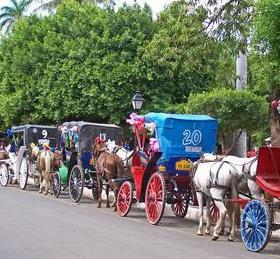 Horse-Drawn Carriage Rides – If you ask anyone about Granada, they will always mention the horse-drawn carriage rides. They are lined up like taxis at a busy airport along the western side of the Parque Central and the drivers are ready to take you away on a slow tour of the city. Some drivers offer a set fee but many are ready to negotiate. The ride itself includes views of the city's major attractions with the added bonus of traveling down some of the smaller side streets that also include a charm of their own. But be prepared, many of the drivers only speak Spanish. Finally, if all of this exploration makes you hungry, check out my post Dining in Granada Nicaragua for some excellent locations.